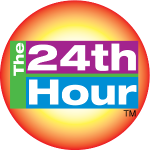 Jackie’s video podcast, The 24th Hour Positive News Magazine™, was created to uplift, inspire and awaken your mind to Spirit. According to Egyptian mythology, the 24th hour is the moment enlightenment comes to the hero in many mystical stories. It is our goal to help everyone cultivate the light within themselves and join with others in doing the same, as we will all awaken together. 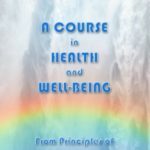 We share interviews, insights and commentary on how to live peacefully no matter WHAT appears to be happening around you. Guests include international authors, evolutionary thinkers, visionaries and luminaries in different fields. Mindful living, following inner guidance, and the power of true forgiveness, as taught in A Course in Miracles, are common themes. Jackie’s audio podcast on BlogTalkRadio, True Forgiveness Teachings™, teaches you how to experience inner peace no matter WHAT is happening in your life! Learn the tools to transform yourself and awaken to Spirit from A Course in Miracles authors and teachers. Call in and ask your questions! Change the default setting in your mind from one who judges, blames, is a victim and fearful, to one who is kind, forgiving, peaceful and loving. 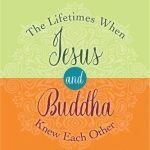 Join Jackie Lora Jones in practicing the principles and power of true forgiveness as taught in A Course in Miracles.